The 7" TFT panel gives a nice large high resolution colour image. It is thin in thickness but sturdily built. 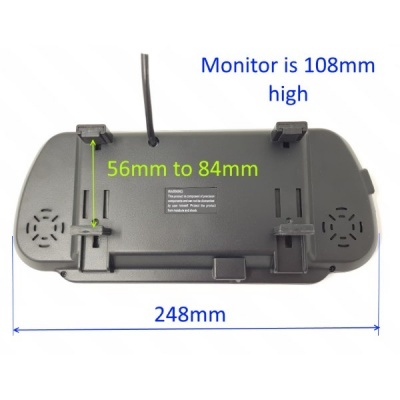 It uses standard phono connectors for the camera and is used in the cheaper reversing systems. It runs on 12 volts only and the camera used with the monitor is usually powered off the reversing light. 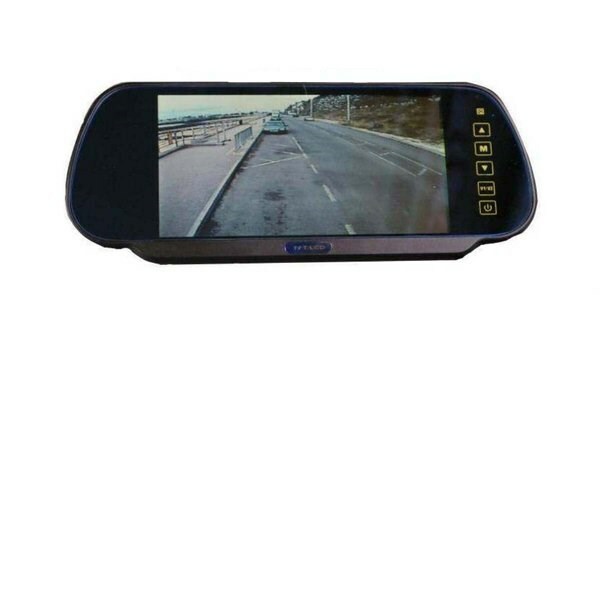 The monitor clips neatly on the interior mirror giving a discrete rear view system. It has 2 AV channels and channel 2 can be set to come on automatically when reverse is selected. You need to be sure you have at leaxt 10.25" between your sun visors when down as they will snag the monitor otherwise. 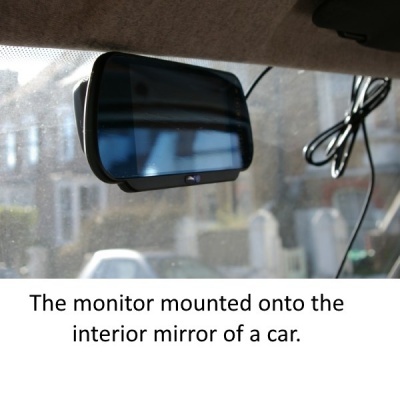 One point to make about the mirror monitor is it has a reflective face. This acts as a mirror when not in use, but can be distracting when being used. For those wanting to use it as an always on mirror then using a Matt Screen Protector can reduce this as shown by the photograph below. Our latest AHD monitor is brighter and is less affected by this. See our AHD systems for more details.